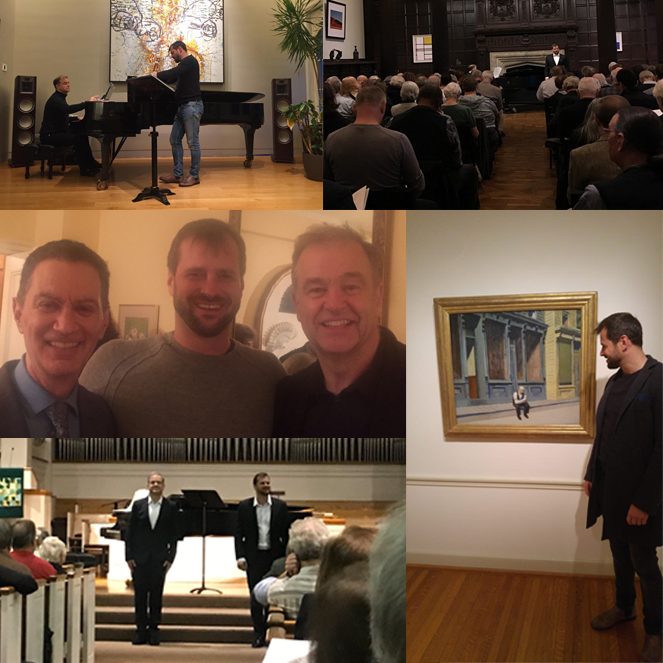 After having enormous pleasure and success in their recitals at the Frick Collection New York and the chambermusic society in Cleveland/Ohio, Holger Falk and Julius Drake completed their tour at the Phillips Collection in Washington DC. „Falk commands an impressive vocal instrument, and uses it completely in the service of the poetic texts. Now he’s declamatory. Now he whispers intimately to the audience. Now he ﬂoats a tone of gossamer loveliness. Now he sings with a grotesque tone (perfect for Satie’s La grenouille américaine) . He’s also an actor — and a bit of a ham — who can imitate a kazoo (Satie’s Enfant-martyre) or whistle while dancing into the aisle (Satie’s Rambouillet) . He has particular fun with Satie, and who wouldn’t.